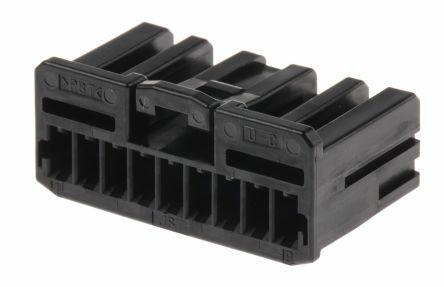 SUPERSEAL series 1.5 automotive connectors offered in plug housings for receptacle contacts, and cap housings for tab contact variants. 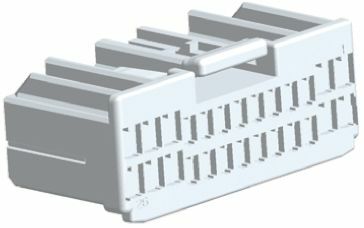 These connectors are made from black 6.6 glass filled polyamide (stock number 718-7319 is grey), with a pre-assembled secondary lock. 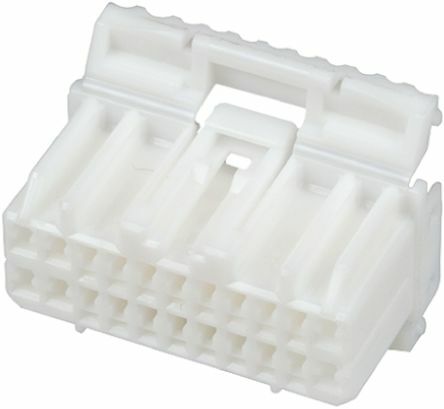 The automotive connector plug housings have silicon rubber seals, and the cap housings can also be panel mounted. Durable hard wearing automotive connectors, suitable for many solutions, including truck, bus, agriculture, and off-road vehicles. For suitable male housings see 314-1205 , and for female housings see 314-1277 , and associated ranges. 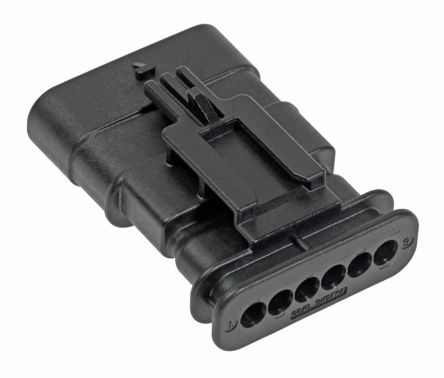 Developed to meet the constantly increasing needs and requirements for safety and reliability in the electrical connection field, these connectors fulfill all the requirements prescribed by the various automotive and industrial standards. Typical applications include various automotive sensor devices, oil pressure senders, water temperature monitoring or any application requiring waterproof protection to IP67.